This is Marc Andreessen. He's not as rich as Bill Gates, not as inspirational as Steve Jobs, nor as well-known as Mark Zuckerberg—but that doesn't make him any less important. 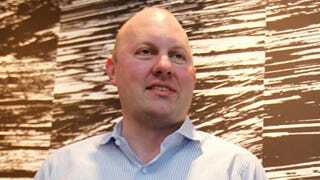 Because, in his twenty year career, Andreessen has probably done more than any other person to change the way we communicate online. Wired is running a series of interviews to mark its 20th anniversary, and its first centers around Andreessen—the man who invented the first graphical web browser, and went on to back companies like Twitter, Instagram and Skype. It makes for great reading. "Technology is like water; it wants to find its level. So if you hook up your computer to a billion other computers, it just makes sense that a tremendous share of the resources you want to use-not only text or media but processing power too-will be located remotely. People tend to think of the web as a way to get information or perhaps as a place to carry out ecommerce. But really, the web is about accessing applications. Think of each website as an application, and every single click, every single interaction with that site, is an opportunity to be on the very latest version of that application. Once you start thinking in terms of networks, it just doesn't make much sense to prefer local apps, with downloadable, installable code that needs to be constantly updated."